…but yiu just went to a game. I man that thinks with his greg. How unique. Is she really his significant other? Looks like she could be his little sister! Haha. Am I the only one who sees a strong resemblance? Agree, phuk the NFL. Watch the ratings continue to tank. BTW, why in the phuk are they a tax exempt non profit? 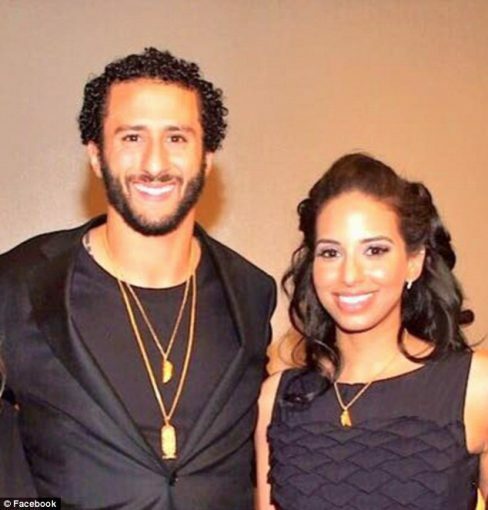 LETS BE A REALIST…IF KAEPERNICK GOT RID OF THE MASSIVE AFRO HE IS SPORTING AND WENT BACK TO THE STYLE IN THIS PHOTO HIS ODDS OF GETTING A JOB WOULD GREATLY INCREASE. He had a job, gambled and but opted out for a better paycheck.